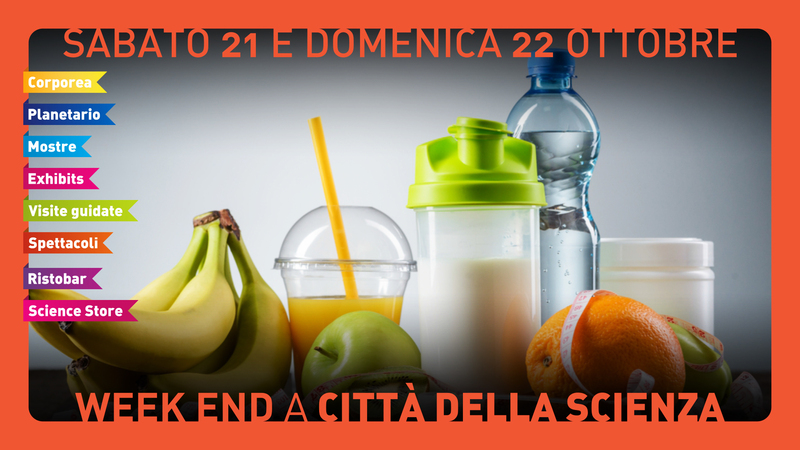 During this week end at Città della Scienza - Saturday 21st and Sunday 22nd, October – we discover how to spend the fall in health with a rich program of games and insights to keep fit, waiting for Christmas. 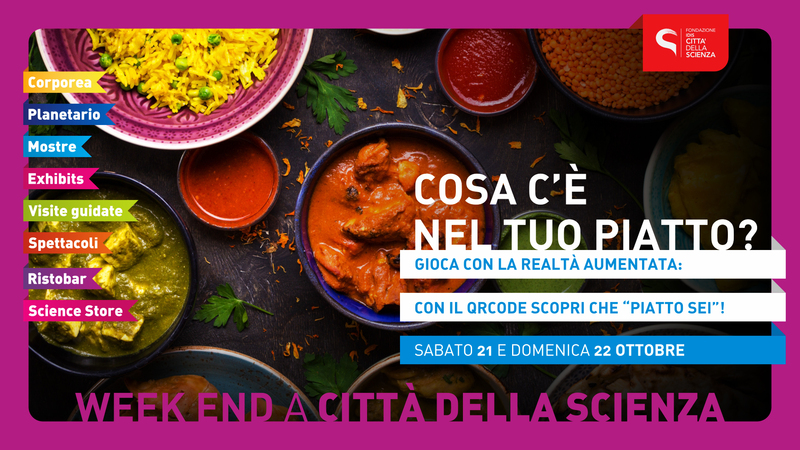 On the occasion of the World Food Day, celebrated on October 16th, many games and scientific demonstrations to test your knowledge about it and to experience, among pipettes and tubes, what are the nutritional principles and how they promote our well-being. 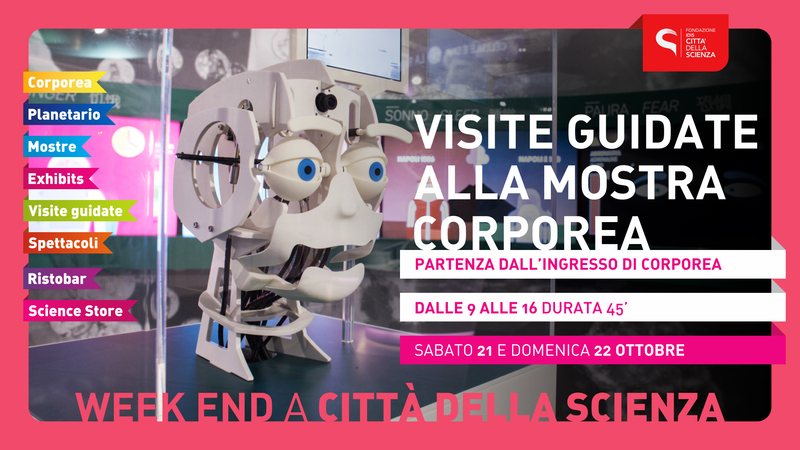 Come find out what foods are good for our health and the secrets of our “anatomical machine”. In addition, for the smallest, creativity and tomato-making workshops, unique and only “fruit of love”, which we will discover the benefits and secrets, thanks to “His Majesty’s Identity Card: The Tomato“. ACSIAN onlus will show us through audiovisual activities how nutrition can safeguard our health, starting with the knowledge of our DNA. 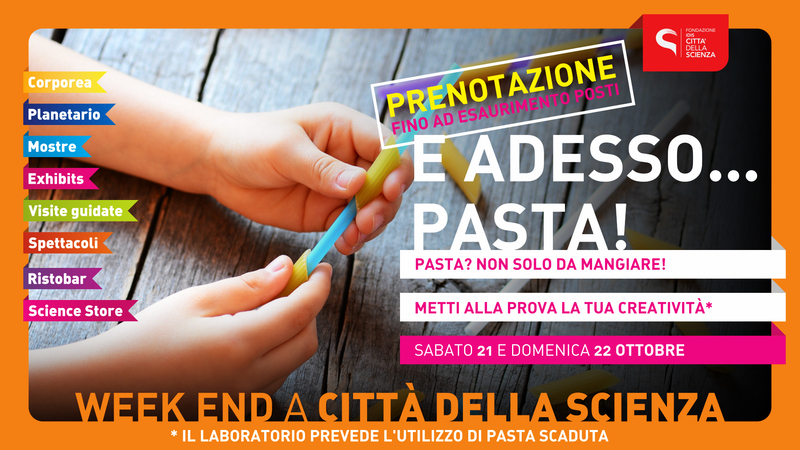 Additionally, on Saturday you will become Master of Sugar, challenging your friends with the Sweety Biorefinery game. 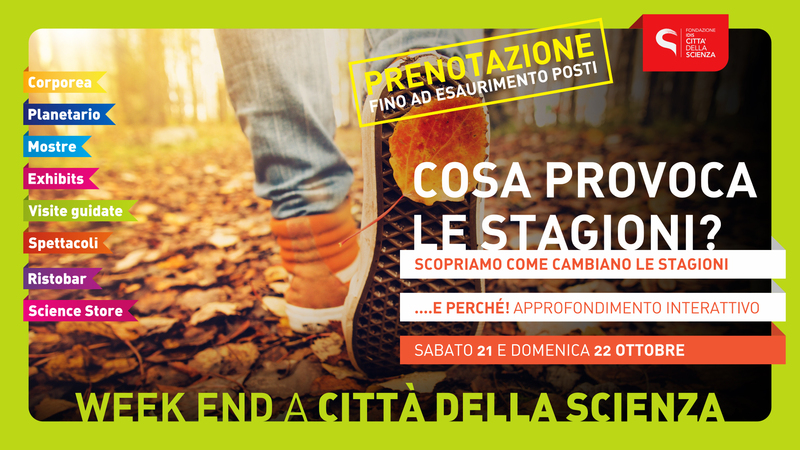 On Saturday, October 21, the AMD Campania Education Group with “We Live Our Knowledge” proposes recreational recreational activity through the use of the “conversation map”. On Sunday, however, there is an in-depth study on “SalvaBimbi“, an interactive lesson on pediatric disruption maneuvers open to all. 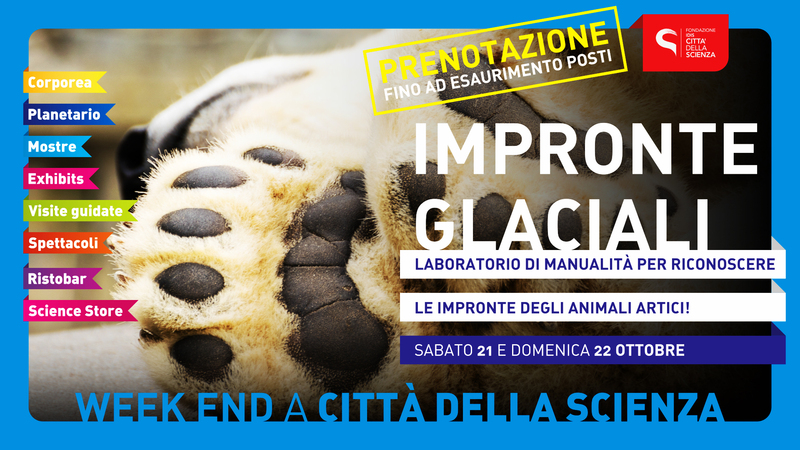 Younger children will be able to try “Impronte glaciali”, a laboratory of manuals to find out what shape they have in the footsteps of polar bear, fox f, snowdrops and walruses. And again, “Discovering bees and their world” a lab that will help us discover the characteristics of a queen bees, how and how much they live. Let’s discover together the fascinating world of these precious creatures and have fun creating a candle. Great news in the bags’ house that, for the occasion, reopens thanks to a special guest, one of the largest insects in the world: the Eurycnema versibubra, a massive and spectacular jar of about 27 centimeters long. The remarkable size, the bright body color, the bright red of the wings, and its defensive plugs make it one of the most beautiful and impressive phantoms. 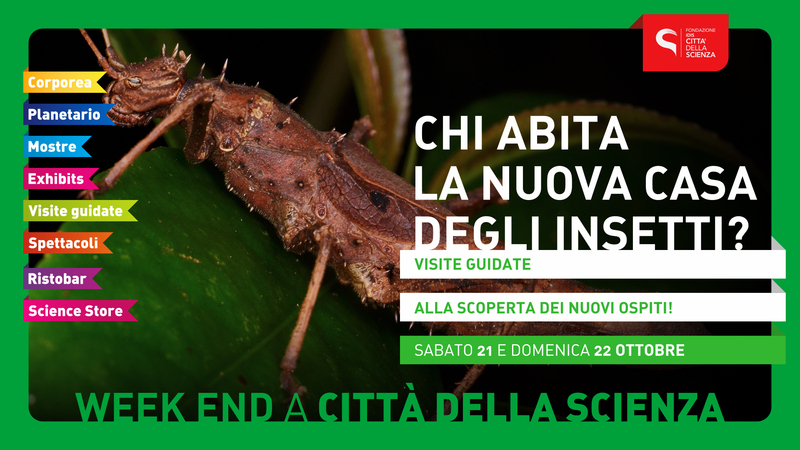 A typical insect of the tropical forests of South East Asia, however, the female specimen we discover in tCittà della Scienza was born in Torre del Greco, in the province of Naples. Do not miss the lab “Everyone does it and nobody talks about it. The story of the boop”, an imaginary journey inside the digestive tract to find out how the food we eat and what it takes when it turns is decomposed and used. 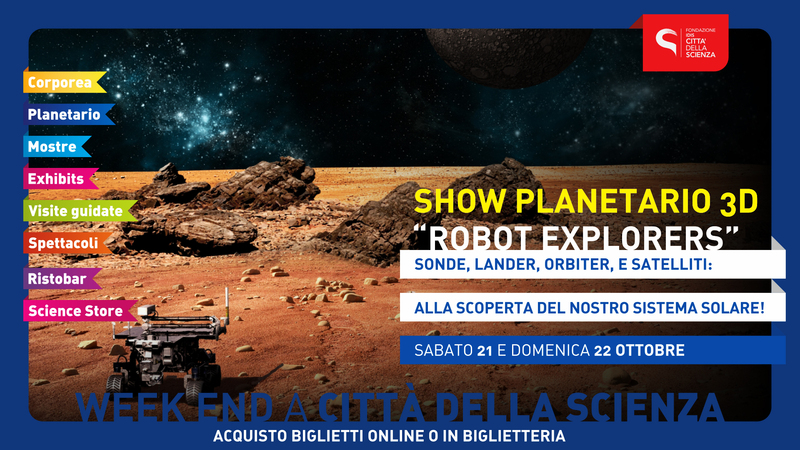 there will be a visit to Corporea, the first interactive human body museum in Italy, and the 3D shows of the new Planetarium. 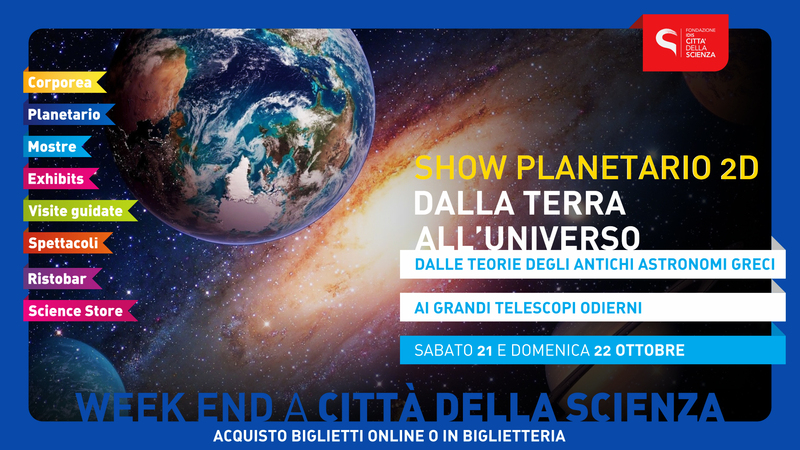 Also, do not miss the new 2D show of the Planetarium “From Earth to the Universe”, for a wonderful trip between the myths and mysteries of the night sky. Discovering the meaning of the four elements water, fire, earth and air thanks to the new exhibition Cambiare modo di pensare. 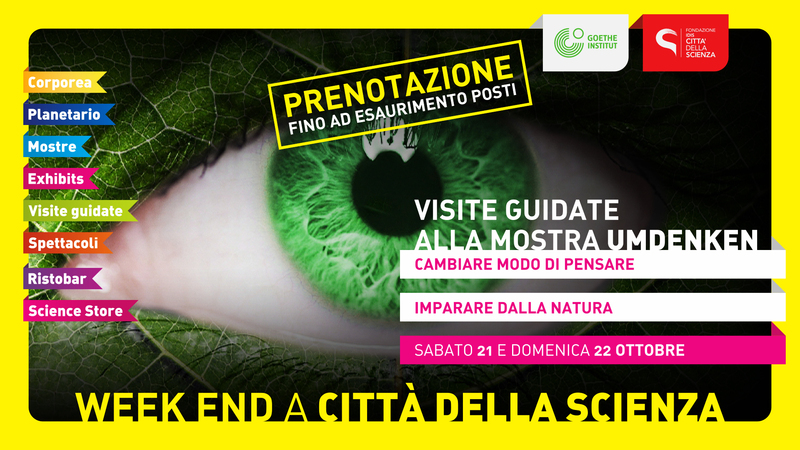 Imparare dalla natura, by Goethe Institut. 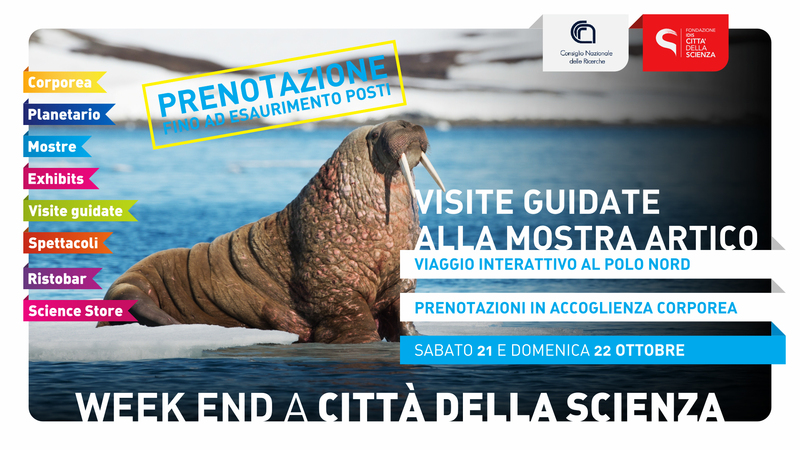 Travelling towards North Pole, Artic Interactive exhibition, in collaboration with CNR. ANM – Neapolitan Society for Transportation – 507 line has been activated every 19 minutes.